Travel theme: Merchandise | Where's my backpack? As September rolls in and summer waves farewell, back to school and Labour Day sales hit the stores and merchandise has been flying off shelves everywhere. I’ve never been one for sales – there is no discount deep enough to tempt me to face bargain-hungry crowds – but I do love wandering through markets, corner shops and stalls when the crowds die down, with camera in tow. Here are a few merchandise-themed photos I’ve taken on my travels. 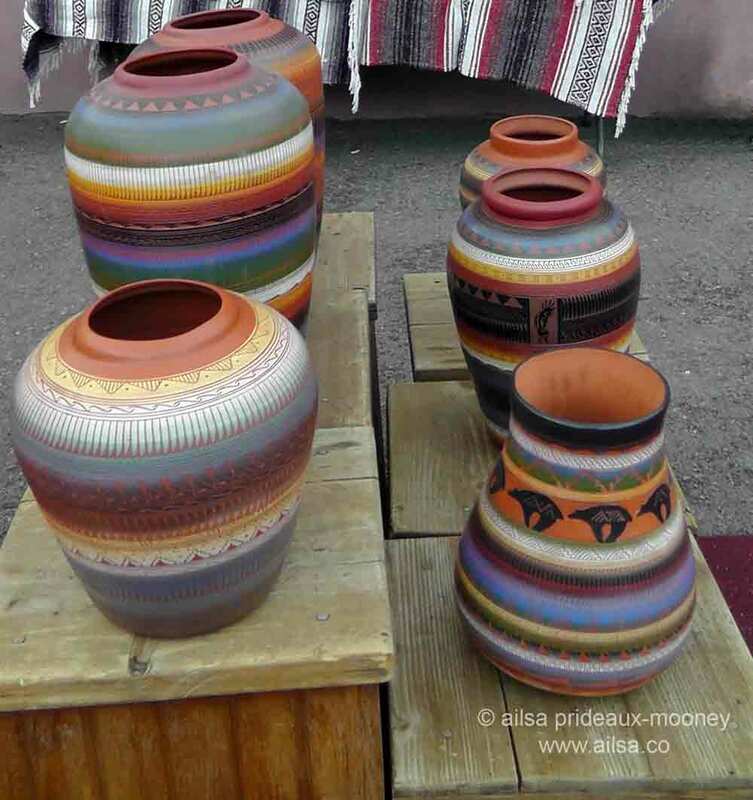 Some gorgeous south-western pottery in Santa Fe. 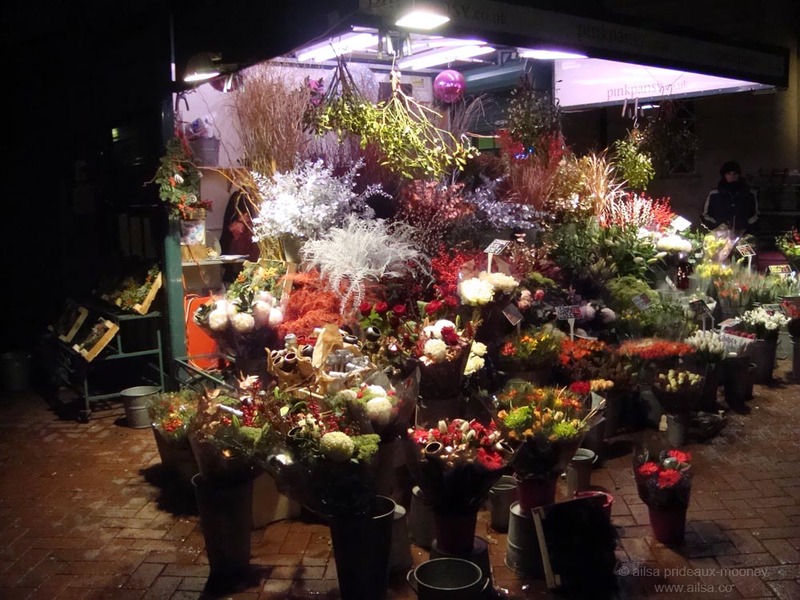 A London flower stall at night. 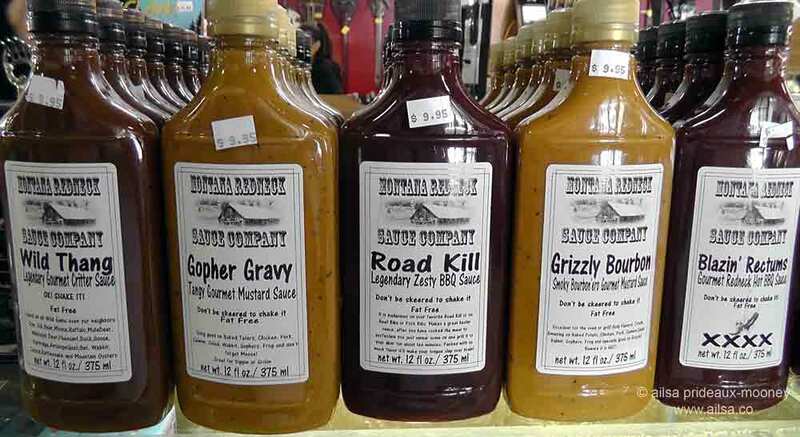 Hot sauces with spicy names in a Montana novelty shop. 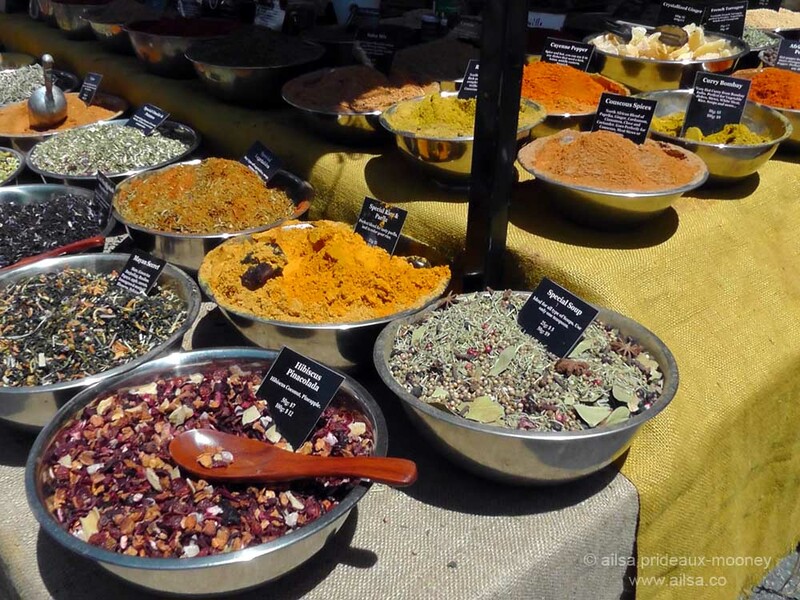 Tea, herb and spice mixes at a New York farmers’ market. This entry was posted in Photography, Travel, Weekly Travel Themes and tagged inspiration, photography, photos, pictures, postaday, travel, weekly photo challenge. Bookmark the permalink. IT IS SO EXCITING ! I would love to be part of it. Great shots. All are wonderful choices, Ailsa, but a bit of patterns of those pots in the first photo is something I would love to have at home. Beautiful photos and Love the quotes at the end! Did you buy any of those enticing hot sauces? Sounds like a missed opportunity, Ailsa. Rich and Sue collect glasses on our travels and have only broken one so far. I like to try the Hot Sauces! Nothing is more fun than a relaxed stroll through a market – the local finds! Those sauce names are hilarious! Pingback: Gentlemen (and Ladies), Open Your Wallets! What great pictures, all representative of food culture in their respective countries! Very intersting theme this week ! Wonderful, Ailsa, I’d love to take your choice of merchandise home! Love the Rumi quote. Have you considered selling a print of the sunrise ? I love it!